This calendar is as comprehensive as we can make it. The ways and means of peacemaking include advocacy, witnessing, service, organizing, financial support, teaching & learning, and prayer & mediation. This calendar presents many examples of all these and we hope you find inspiring and useful. Please e-mail us information about your peace and justice events to calendar.peace@gmail.com by the first Wednesday of the month. Apr 9 (Tues) » AMERICANA COMMUNITY CENTER. Volunteer orientation every 2nd Tuesday, 6PM. Help bridge the gap for our refugee and immigrant neighbors. Visit http://www.americanacc.org. Apr 10 (Wed) » Y-NOW CHILDREN OF PRISONERS MENTORING. Join us for a tour of YMCA Safe Place. 2nd Wednesday each month. Learn how you can help break the cycle through mentoring and encouragement. RSVP to 635-5233. Apr 10 (Wed) » LOUISVILLE FORUM. Noon at Vincenzo’s Downtown. Every 2nd Wednesday. Speakers on current public issues. Non-partisan discussion. For details call, 502-329-0111. Apr 11 (Thurs) » EVERYONE READS TRAINING. JCPS VanHoose Education Center, 4PM. Every 2nd Thursday. Join our community-wide effort to improve reading skills. Visit https://apps.jefferson.kyschools.us/vounteer. Apr 12 (Fri) » A GLIMPSE OF ETERNITY. The Louisville Astronomical Society at dusk in Tom Sawyer Park. Every 2nd Friday weather permitting. Look through telescopes at planets, our moon, stars, double stars, the Orion nebula, and other wonders. Visit https://www.louisville-astro.org/. Apr 13 (Sat) » EARTHSAVE OF LOUISVILLE. Crescent Hill Ministries, 6PM to 8PM. Every 2nd Saturday. Discuss healthy food and behavior change. Bring a plant-based dish and share your recipe. Mix, mingle, music. Call 299-9520 for more information. Apr 13 (Sat) » CITIZENS’ CLIMATE LOBBY. Crescent Hill Public Library, Noon. Every 2nd Saturday. Help plan efforts to lobby for state legislation to combat climate change. For more contact Jean at jmchri@gmail.com or call 502-634-3114. Apr 14 (Sun) » VIGIL FOR PEACE. 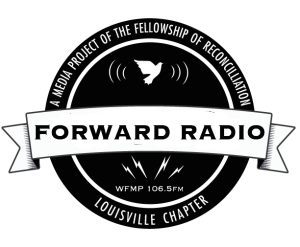 Louisville Peace Action Committee (LPAC) and Veterans for Peace Chapter 168, 4PM to 5PM. Every 2nd Sunday. Bardstown Rd. at Douglas Blvd. Bring a sign. Remember those suffering from conflicts in the Middle East. For more information, call Harold Trainer, 502-419-4083. Apr 14 (Sun) » THE NONVIOLENT CITIES PROJECT. Pace e Bene Nonviolence Service, every 2nd Sunday at 2:30PM. Help us spread and apply the principles of non-violent action here and now. Call 812-280-0665 or email rodwsm@gmail.com for more information. Apr 15 (Mon) » GROWING FOOD AND COMMUNITY. 15 Thousand Farmers at Dismas Charities St. Ann’s on Algonquin Pkwy, the 15th of every month. Share ideas and experiences about growing your own food. Taste samples. Visit http://www.15thousandfarmers.com. Apr 16 (Tues) » WEST JEFFERSON COUNTY COMMUNITY TASK FORCE. Meeting at the NIA Center every 3rd Tuesday at 6PM. Help us examine and assess community environmental concerns. Call 852-4609 for more information. Apr 17 (Wed) » JEWISH VOICE FOR PEACE. Highlands-Shelby Park Public Library. Every third Wednesday. Help us plan for future and assess our accomplishments. Call 502-553-6451 or e-mail barbaraberman2@gmail.com. Apr 18 (Thurs) » CHAT WITH POLICE. 6PM. Open dialogue with police officers. Meeting places rotate month to month. https://louisville-police.org/475/Youth-Chats-with-the-LMPD. Apr 18 (Thurs) » MENTAL ILLNESS SUPPORT & ADVOCACY. NAMI Louisville every third Thursday at 3PM. Also Saturdays and Sundays. Support for families. Draw on years of experience. Visit http://www.namilouisville.org. Apr 18 (Thurs) » COURT APPOINTED SPECIAL ADVOCATES FOR CHILDREN (CASA). Orientation, Noon to 1PM. Learn how you can help defend the rights of abused and neglected children in our community. Call 595-4911 to RSVP. Apr 18 (Thurs) » LEARNING DIFFERENCES SUPPORT & ADVOCACY. Learning Disabilities Association of Kentucky every third Thursday at 7PM. Support for individuals and families. Call 473-1256 for more information. Apr 18 (Thurs) » THIRD THURSDAY LUNCH. Network at Hotel Louisville. Hear compelling speakers on current concerns and issues of justice, compassion, faith, and public policy. Lunch begins at 11:30AM, presentation begins at 12 noon. RSVP to Pat Geier by the Monday prior at 609-7985 or pgeier@fastmail.fm. See page 7 for more details about this month’s event. Apr 20 (Sat) » LOUISVILLE EARTH WALK. Iroquois Park. Celebrate our beautiful planet and show our community how much you care about protecting and improving our quality of life. Visit https://louisvilleearthwalk.org/. Apr 1 to 30 » SACK LUNCHES FOR THE HOMELESS. Wayside Christian Mission. Open every day. Help us assemble sack lunches for men and women who are working and away from the Mission at mealtimes. Sack lunches are also used by our Good Samaritan Patrol. Visit http://wcm1.weebly.com. Apr 1 to 30 » THE WORLD’S MAJOR RIVERS. The Crane House. Compare three of the world’s major rivers: Ganges, Yangtze, and Ohio. Learn more about their influence on the history and culture of their respective countries. Visit http://www.cranehouse.org. Apr 2 to 4 » PEACECASTERS SPRING CAMP. Peace Education Program, 9AM to 5PM. Practice ways to use tools nonviolent conflict resolution. Visit https://www.peaceeducationprogram.org. Apr 2 (Tues) » GLOBAL TRIVIA NIGHT. World Affairs Council of Kentucky and Southern Indiana, 7PM. Test your knowledge and learn more from others. Visit https://www.worldkentucky.org. Apr 2 (Tues) » CONSOLING PARENTS. Meeting at First Lutheran Church every Tuesday at 6:30PM. Meet others who know the loss of miscarriage, stillbirth, and newborn death. Call 629-2103 for more information. Apr 2 (Tues) » DANCING FOR VETERANS WITH PTSD. 6PM. Enjoy live music, dance and community. Every Tuesday until April 9th. Visit http://www.dancingwell.org. Apr 3 (Wed) » VOLUNTEER FOR REFUGEE FAMILIES Catholic Charites, 5:30PM. First Wednesday every month. Learn more about our refugee & immigration settlement program and family assistance efforts. Visit http://cclou.org. Apr 3 (Wed) » THE LOUISVILLE SUSTAINABILITY FORUM. Every first Wednesday. Sustainability and relationships that create a community for change. Bring your lunch. Noon to 1:45 PM, Passionist Earth & Spirit Center, the Barn at 1924 Newburg Road. Apr 3 (Wed) » KENTUCKY REFUGEE MINISTRIES LUNCH & LEARN. Noon. Learn more about our refugee & immigration settlement program and citizenship tutoring classes. Visit http://kyrm.org. Apr 4 (Thurs) » KENTUCKY SINGLE PAYER HEALTH CARE. Every first & third Thursday, 5:30PM at Main Public Library. Call Kay Tillow 636-1551. Apr 4 (Thurs) » DEADLINE FOR SUBMISSIONS TO THIS CALENDAR IN THE NEXT ISSUE OF FORSOOTH. Every first Thursday. Please email calendar.peace@gmail.com. Apr 4 to 7 & 25 to 28 » HAND IN HAND MINISTRIES. Work side by side with people who live and work in vulnerable communities. Visithttp://www.myhandinhand.org. Apr 6 (Sat) » INTERFAITH SILENT MEDITATION. Every first Saturday. 9:30AM. Brief meditation instruction and longer periods of silence, interspersed with opportunities for walking meditation. Passionist Earth & Spirit Center, the Barn at 1924 Newburg Road. Call 502-452-2749 for information. Visit https://earthandspiritcenter.org. Apr 6 (Sat) » LOUISVILLE COMMUNITY AGRICULTURE. Every Saturday morning. Also, other days and times. 26 farmers’ markets from California neighborhood to Norton Commons. Visit https://louisvilleky.gov/government/mayors-healthy-hometown-movement/services/healthy-eating. Apr 6 (Sat) » PRESERVE OUR URBAN FORESTS. Olmsted Parks Conservancy. Almost every Saturday. Our tasks include invasive plant removal, mulching, painting or general park beautification in our various Olmsted parks and parkways. Gloves, tools and guidance provided. Be sure to sign-up before coming out. Visit http://www.olmstedparks.org. Apr 6 (Sat) » HELP BUILD A HOME. Habitat for Humanity of Metro Louisville. Almost every Saturday. Work alongside our sweat-equity families. Ask about our non-construction opportunities too. Visit https://www.louisvillehabitat.org. Apr 6 (Sat) » CANVASS NEIGHBORHOODS FOR FRESH FOOD. Saturdays and Sundays. Join us any time. Fresh Stop Project volunteers take orders door to door for locally grown fruits and vegetables. Visit http://www.newrootsproduce.org. Apr 7 (Sun) » COMMUNITY COMPOSTING. UofL Belknap Campus. Every Sunday, Noon to 2PM. Help us turn trash to treasure. Haul home some rich compost for your garden. Dress to get dirty. Tools provided. Visit http://www.louisville.edu/sustainability. Apr 7 (Sun) » “AIM HIGHER” focusing on military counter-recruitment. Every first Sunday at 7 PM. Discuss conscientious objection, military recruitment, and the possibility for high school students to “opt out” of having their names given to recruiters. Call Jim Johnson, 262-0148 or e-mail FORnonviolence@gmail.com. Apr 9 (Tues) » MOVIMENIENTO DE MUJERES LATINA — LATINA WOMEN’S MOVEMENT, La Casita Center, every second Tuesday, 5:30PM. Network, mentor, find friends and share. Call 322-4036 for more information. Meeting times are subject to change for some of these events. Before attending these events, it’s best to contact the sponsoring organization to verify the time and place of the event. Apr 23 (Tues) » FREE NONPROFIT START-UP CLINIC. Center for Nonprofit Excellence, 3PM. Every 4th Tuesday. Learn the fundamentals, avoid pitfalls, and find direction. Visit http://www.cnpe.org. Apr 30 (Tues) » REAL PEOPLE, REAL CHALLENGES, REAL SOLUTIONS. Volunteers of America Family Emergency Shelter, morning and evening sessions. One-hour interactive tour of VOA’s work and programs for self-determination. Call 636-4660 to RSVP. Apr 2 to 23 » FAIRNESS MEETINGS. ACLU of Kentucky. Help us promote LGBT Rights in Kentucky and join our meeting in Versailles, Georgetown, Frankfort, Bowling Green, Berea, and Shelbyville. Visit http://www.aclu-ky.org. Apr 4 (Thurs) » INTERFAITH PRAYER VIGIL FOR PEACE. Lexington, KY at West Main and Broadway, 5:30PM to 6:30PM. Every Thursday. For more information, call 859-327-5514. Apr 18 (Thurs) » ORGANIC AGRICULTURE WORKING GROUP. KSU Research Farm, Frankfort, KY. Every third Thursday. Participate in efforts to develop local food economies with the Community Farm Alliance and others. https://kysu.edu/academics/cafsss/organic-agriculture-working-group/about-organic-agriculture working-group/. Apr 27 (Sat) » CHRISTIAN-MUSLIM DIALOGUE. Lexington, KY at 10AM. Meeting places rotate. Every 4th Saturday. Explore moral, cultural, and social issues together. For more information, call 859-2772-7891. Apr 27 (Sat) » CREATING SPACES OF BELONGING. Kentuckians For The Commonwealth meeting in Covington, KY. Learn concrete ways to make our spaces more inclusive and together. Visit http://kftc.org/. Visit http://www.lfpl.org for more information. Apr 6 (Sat) » ENGLISH CONVERSATION CLUB. Every Saturday at the Iroquois Public Library, 3PM. Also Main Library on Wednesdays at 7PM and Shively Public Library on Thursdays at 6:30PM. Apr 6 (Sat) » CONTEMPORARY AFRICA. Iroquois Public Library, 1PM. Every Saturday this month. Meet and learn with community leaders and UofL students. Apr 8 (Mon) » INTERMEDIATE SPANISH. South Central Public Library, 6:30PM. Every Monday. Increase comprehensive and oral expression. Apr 16 (Tues) » GRANTSEEKING BASICS FOR NONPROFITS. Main Public Library, 1:30PM. Learn the basics of developing a fundraising plan. Apr 18 (Thurs) » WOMEN’S BOOK CLUB. South Central Public Library, 7PM. Join our discussion of books of interest to women. Apr 27 (Sat) » FRENCH CIRCLE. Iroquois Public Library, 12:30PM. Join our conversation in French.